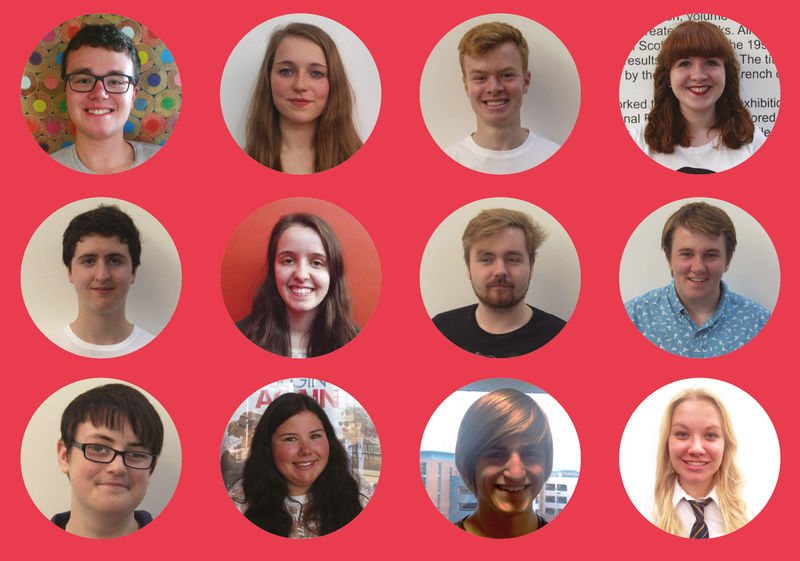 Amy, Angus, Cairn, Catriona, Christie, Elliot, Fin, Heather, James, Michael, Rachel, Rhianne, Sarah, Stuart and Thomas. Every year Discovery Film Festival is put together by Festival Producer Mike Tait, with the help of our Discovery Young Ambassadors (DYAs). A group of 15 to 19 year olds, all excited about film, the DYAs work hard to pick the best new up and coming films (which we hope you agree look well worth seeing!). In addition to watching and programming films, the DYAs plan some amazing workshops, help with the exhibition, and most of all try to make everyone feel part of the Discovery family! Rhianne has been a DYA for a few years now, and to give you a bit more insight into what the group does behind-the-scenes at Discovery, she sums up just what being a DYA entails. With the rest of the DYAs, I work with Mike throughout the year to help select films and plan exciting workshops for the festival programme. The selection process begins around April when we begin watching films that have been sent in from across the world. Meeting up every week, Mike screens films for us and we use a feedback sheet where we each personally review the film. This essentially breaks down the positive and negative aspects, any issues there may be and the possible age rating for the film. Afterwards we all share our thoughts and discuss whether we see a place for the film in Discovery. There have been lots of new members this year so it was really interesting to gain some new perspectives from them. The opinions have been a lot more diverse because we each have very different tastes, often engaging in some lengthy debates after a screening! At the end of July we look back at all the films we’ve reviewed and then we officially select the programme, which you’ll now have the chance to see! Being a DYA is a really unique experience to see how a film festival runs behind-the-scenes. There are not a lot of opportunities for teenagers like this. We’re able to have our say on what people our own ages would not normally get the chance to see. It’s really rewarding to witness the whole process of watching, to reviewing, to eventually seeing the films you’ve helped programme in the cinema during the festival. The highlight of this year’s festival for me is without a doubt The Boy and the World which is a truly unique Brazilian animation. I can honestly say I have never seen anything quite like it. It is beautifully animated, an absolute treat to see on the big screen, and has an incredibly strong narrative despite the fact no words are ever spoken. It’s the stand out film of the programme this year for me and if you get the chance it really is a must see! Every year we also have the Shorts collections both for Wee Ones and Middle Ones which are an array of films to enjoy for the young and young at heart. A showcase of shorts from around the world, there is no limit to the imagination of storytelling and you’re guaranteed to leave with a smile on your face!